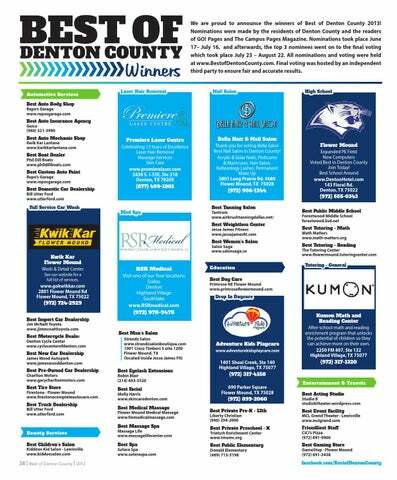 We are proud to announce the winners of Best of Denton County 2013! 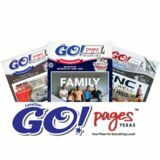 Nominations were made by the residents of Denton County and the readers of GO! Pages and The Campus Pages Magazine. Nominations took place June 17– July 16, and afterwards, the top 3 nominees went on to the final voting which took place July 23 – August 22. All nominations and voting were held at www.BestofDentonCounty.com. Final voting was hosted by an independent third party to ensure fair and accurate results. Kwik Kar Flower Mound Wash & Detail Center See our website for a full list of services. See the best of the best of Denton County! Exclusive offers inside.